Five weeks of football have passed in a heartbeat and Sunday’s World Cup final puts the seal on a tournament that has contained more drama and entertainment than the majority of its predecessors. German football will be on a high after that 7-1 demolition of hosts and pre-tournament favourites Brazil but Joachim Low will be wary of an Argentinean unit that hasn’t quite been at its best so far. The nature of Germany’s huge win makes them clear favourites to take this game in 90 minutes and Low’s side are priced at 11/8 with a number of outlets including Stan James and Coral. The draw in normal time follows at 11/5 with Winner Sports while Argentina are the outside punt at 5/2 with Bet365. Germany were sublime in the way they despatched Brazil in what must be one of the most shocking results in the history of the World Cup. Clearly that puts them in pole position for this final but Argentina wouldn’t be the first side to win the World Cup after putting in a less than impressive campaign. Remember, those are the odds for the 90 minute result and if you want to back the outright win which could include extra time and possibly penalties, Germany are quoted at 8/11 with BetFred while Argentina are at 6/5 with Stan James. Everyone is talking about Germany’s stunning victory in the semi but prior to that result, their form wasn’t quite so convincing. A slightly fortuitous 2-2 draw against Ghana in the groups was followed by a subdued 1-0 win over USA and results in the knockout rounds were equally tight. Low’s team needed extra time to beat Algeria in the round of 16 but it could be argued that their 1-0 victory against France in the quarters was more comfortable than the final scoreline suggests. Meanwhile, Argentina’s five victories in this competition have all come by a single goal margin. Those wins include a late decider from Lionel Messi against lowly Iran and another unconvincing, 1-0 victory in the round of 16 against unfancied Switzerland. 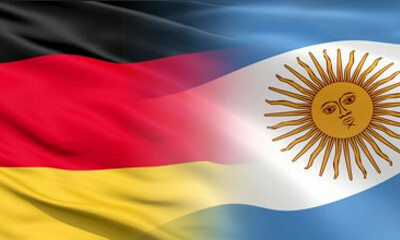 On form alone, Germany certainly have the edge but the important thing to remember is that Argentina haven’t conceded a goal in 330 minutes of knockout football in Brazil. That fact alone tells you how hard they are to beat. Germany’s crop of attackers and attacking midfielders filled their collective boots against the Brazilians with Thomas Muller, Andre Schurrle and Miroslav Klose all finding the net. Of the three, Muller has the greater incentive to score as he needs only one more goal for a second consecutive share of the Golden Boot trophy. at 7/4 with Bet365 for an anytime goal and his current run of form makes him a good tip, even at that relatively low price. For Argentina, Lionel Messi will have to take greater responsibility in the wake of Angel Di Maria’s injury and the Barca forward is another strong contender in the anytime market at 21/10 with 888sport. We’ve yet to see Germany’s legendary prowess from the penalty spot so far in this tournament but don’t rule out the possibility of this final going to spot kicks. There is little to choose between the teams, despite what the pre-match odds might be telling you, and if this game does finish all square after 120 minutes, the Germans’ undefeated record in World Cup penalty shoot outs suggests there can only be one winner.